Although students are still enjoying the late days of a pleasant summer break, staff at HomeConnection have already started preparations for the 2018-19 school year. 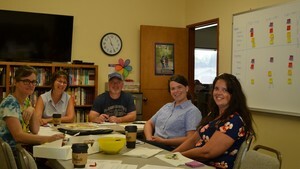 Thank you to Renee Aho, Leslie Drury, Nate Button, Becky Martin, and Alison Weinkauf for spending a beautiful summer morning working to ensure a successful school year for our students! 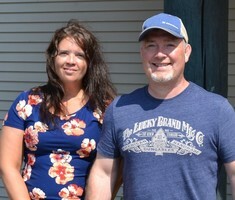 Welcome Nate Button and Alison Weinkauf!